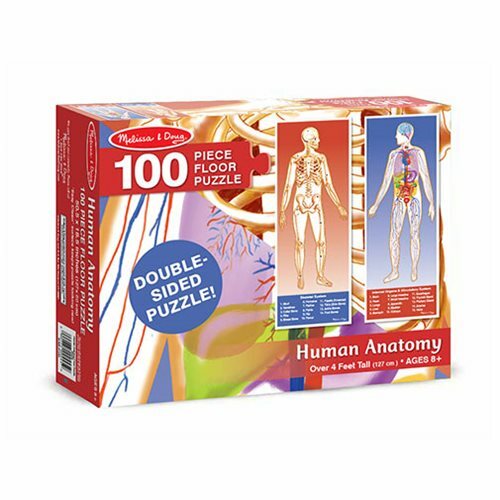 The incredible inner workings of the human body are beautifully portrayed in this double-sided educational floor puzzle. One side of this 100-piece cardboard puzzle features the skeletal structure, and the other side shows internal organs and the circulatory system. Four feet long when assembled, the 100 extra-thick pieces feature an Easy-Clean surface to keep them looking like new. Children will be fascinated by this challenging, kid-sized floor puzzle. Ages 8 and up.